The ninth is a birdie hole! A short par 4 with trees and OB along the left, the two tier green is surrounded by bunkers at the front and on both the left and right sides. Play this one down the right hand side for best access into the green. Safe Play: You don’t need distance on this hole just accuracy. Play down the fairway and then play to the middle right of the green to make an easy par. 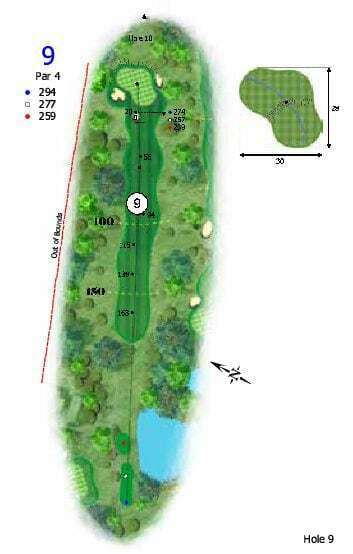 Aggressive Play: Long hitters can reach this green in one shot, Attack this short par 4 with driver and get up and down for birdie.